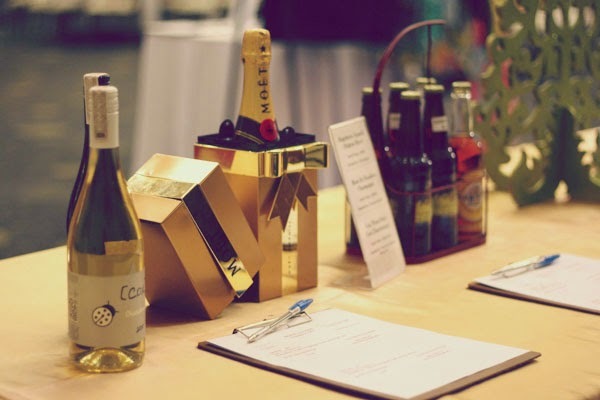 Tapulanga Foundation once again hosted its annual fundraiser, Eat. Share. Love, last November 22! 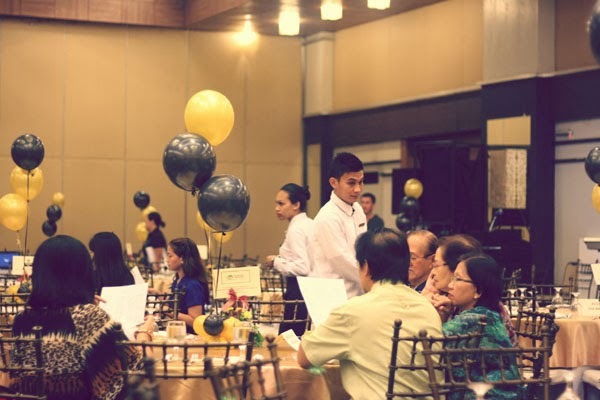 Now on its 5th year, Eat Share Love attracted more than 200 people – young and old – for this charity event at the La Proa Halls of L’Fisher Hotel, Bacolod City. 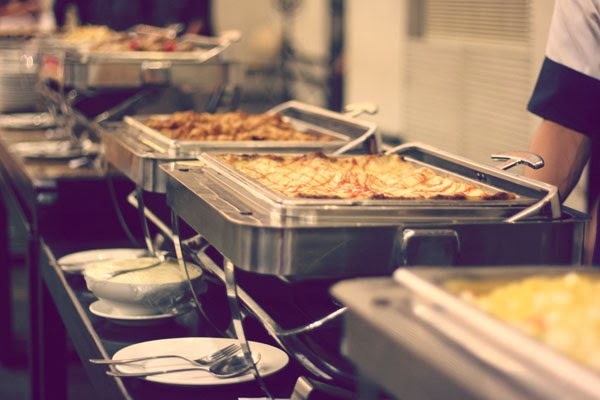 The fundraiser opened its doors at 6 PM and started with a scrumptious buffet dinner. 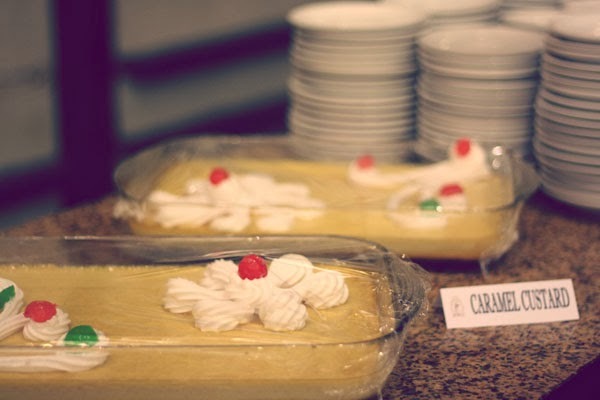 ... chocolate and custard for dessert. 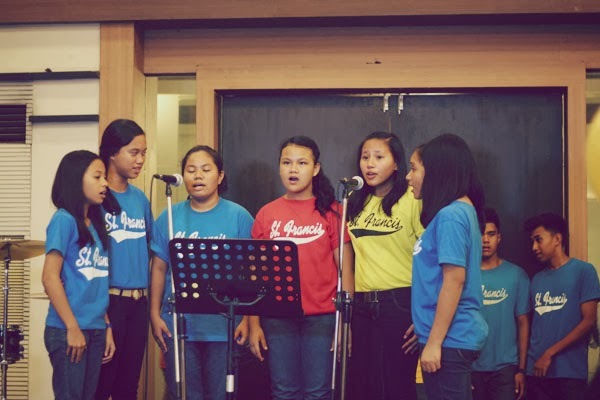 And all the while, the St. Francis of Assisi School chorale, most of whom are scholars of Tapulanga Foundation, filled the hall with several music performances. … Lopue’s East Centre and Mandalagan branches, Spa Natura, Sugarland Hotel, and many more. 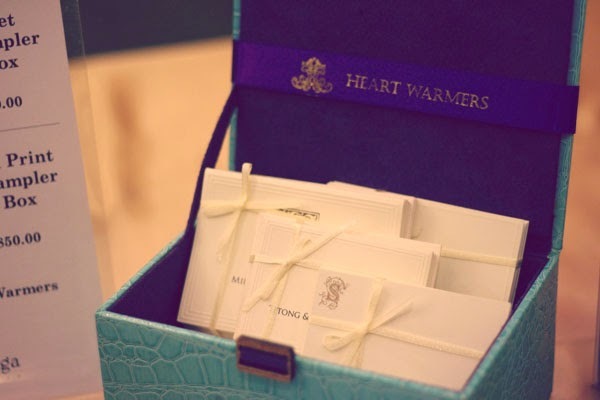 Our attendees also got a little surprise – if they happened to have a special paper taped on the bottom of their chairs, they get a special prize! 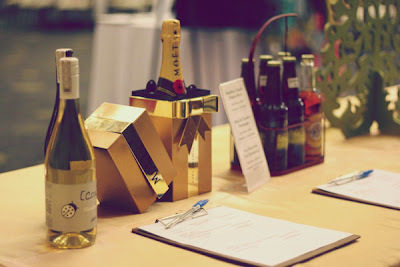 During the past four charity dinners, we have raised funds for Tapulanga Foundation’s programs and the school it runs. 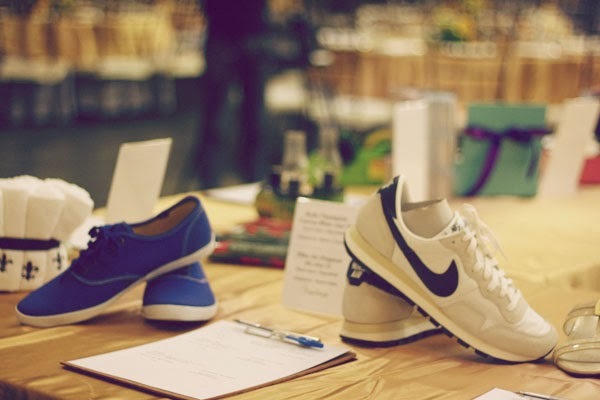 And we have been very grateful for everyone who became involved in this cause. This year, however, we’re giving all proceeds of Eat Share Love 2013 to repairing and rebuilding of homes that were hit by the recent Typhoon Haiyan/Yolanda . It seems appropriate to say that every cent of our attendees’ contribution goes a longer way this time. To everyone who came, helped, donated, and sponsored Eat Share Love 2013, THANK YOU VERY MUCH! 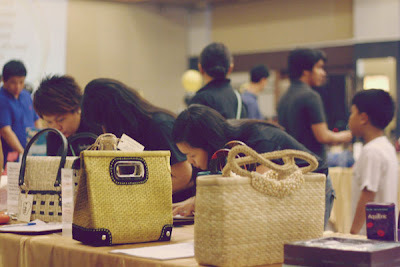 Now and then, donors of Tapulanga Foundation go beyond paying for the tuition, or school books, or the lunch meals of students. On the birthday of the donor herself (last September), her fourth grader scholar, Francielle Acuesca, and her classmates went on a day trip to the southern part of Bacolod – a trip funded by her donor, Mrs. Ria Rochvarg, all the way from Maryland, U.S.A. Led by tourist guide Miss Betsy Gazo and escorted by several parents, the class went aboard a Cebro bus and visited Bacolod City’s main landmark first – the Capitol Lagoon, which sits right in front of the Capitol Building. They shortly headed for May’s Organic Garden and Restaurant – a rising agri-tourism spot in the province. The kids were introduced to the abundance of organic livestock, herbs, even ducks and cattle, and the fresh fruits and vegetables harvested straight from their gardens. Next stop – the OISCA Bago Training Center. 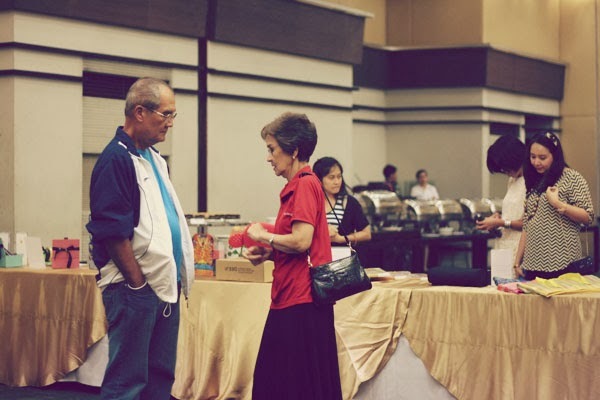 The Organization for Industrial, Spiritual, and Cultural Advancement (OISCA), a Japan-based NGO, has been in the Philippines for almost 30 years. The group stopped by for lunch at the Bantayan Park. What sets the place apart from most parks, however, is that it sits right next to Bago River – a wide stretch of water with a riverbank that people could easily mistake for a beach. 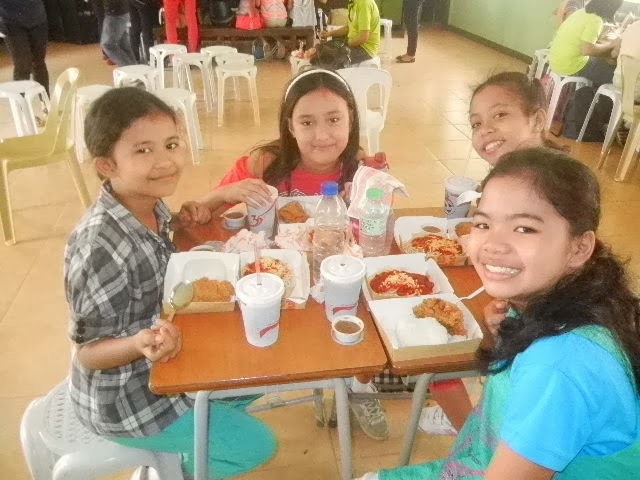 They enjoyed a free meal of spaghetti, chicken, rice and drink! 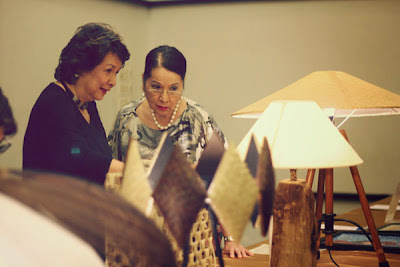 The last stop was at the relatively new Tomiko’s Vintage Glass Museum, owned by Tomas Claridad Casiano. A retired florist from Beverly Hills, he recently returned home after more than twenty years. Here, the kids found to their amazement the extensive collection of over 2,000 glasses pieces – vases, Victorian lamps, decorative objects, Depression glasses. Needless to say, the trip was a great experience for Francielle and her classmates, and introduced them to some of the province’s upcoming tourist-worthy destinations. Thank you Mrs. Rochvarg for making this possible! Morning begins. The sun rises. You wake up, and it’s a Saturday. There’s not much on today’s to-do list. What to do? Why, start a carwash of course! 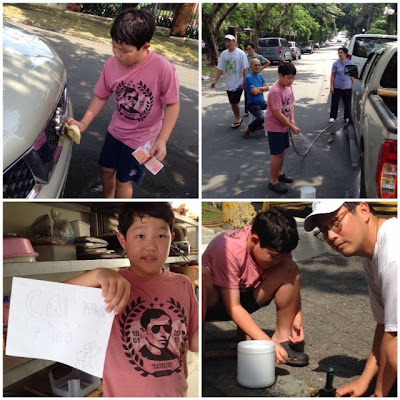 That’s what eight-year-old Andro Barrientos decided to do for a weekend. 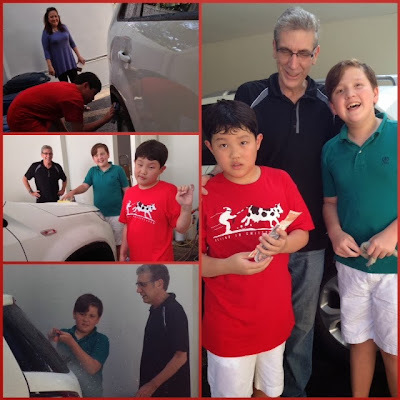 His attempt to raise his own money earned the support of his older brother, Diego, and their grandfather. Andro’s brother joins him. 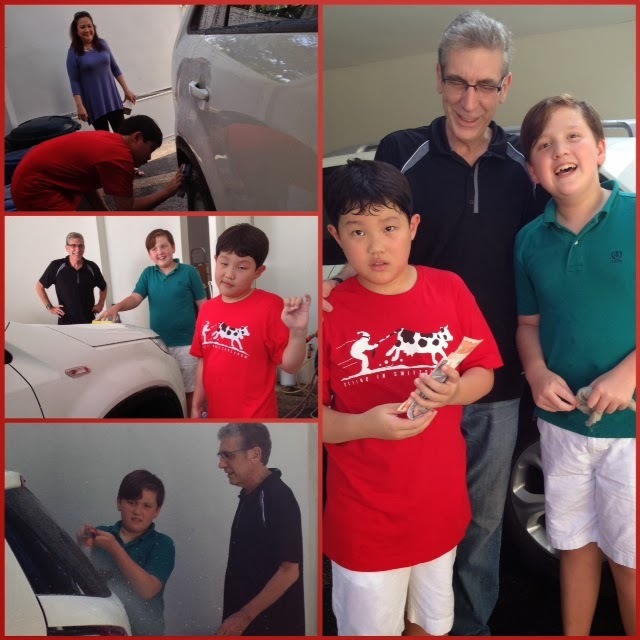 And, as this carwash endeavor carried on even until the next weekend, so do their friends – Tyler, Xavier, Anton, Ridge. Apparently Mr. and Mrs. Felix Barrientos have set a great example for these two – the Barrientos brothers are two of Tapulanga Foundation’s donors: Andro sponsors the books of Ian Oquindo, a 3rd grade scholar, and Diego the lunch meal of 4th grader Reign Dela Cruz. Andro admits they raised only a small amount, but that’s not what really matters. To their family’s favorite charity, Tapulanga Foundation, Andro gives their hard-earned Php420 – from him and his brother Diego, his friends Tyler, Xavier, Anton, and Ridge. 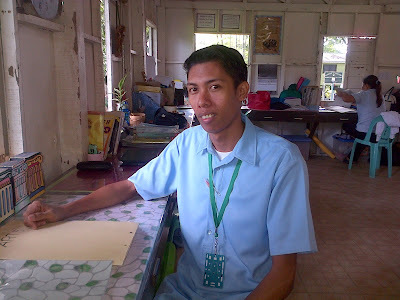 This is Earl Joshua Tarrosa, a graduate of St. Francis of Assisi School. 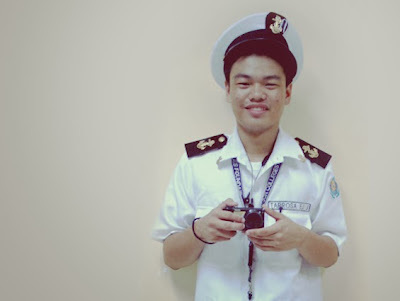 Now currently studying at John B. Lacson Colleges Foundation taking up the course of Bachelor of Science Major in Marine Transportation. I have come to tell you a wonderful story that happened to me. It all began when an advertisement caught my attention about the Publication Team of the school, they needed a writer, photographer and lay-out artist. So I made an eye-catching application letter for the position of a photographer. That July 13, 2013, they gave us an exam then they proceeded with the first screening. The next interview was with the two advisers of the said club. I was very shocked. 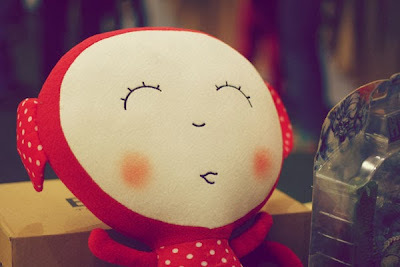 I experienced intense state of happiness, To The Max! I went rushing to my classmates to share the very good news and they congratulated me, then I texted my mom and dad and they too congratulated me. 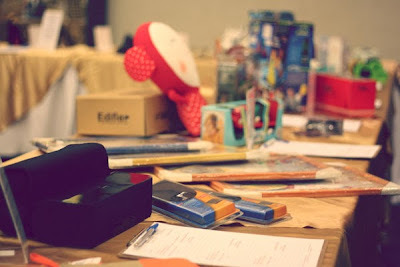 Now, as Publication Photographer, I will receive a Scholarship worth of 50% discount which is very big for my family and me, then we could enjoy the publication room to stay, sleep, eat, use printer, use computer, anything we like for free, then we have additional payments for our hardwork, I could learn more from my mentor, we could attend seminars in many places like Iloilo, Guimaras, Bohol, and many more. NGOs normally exist in the name of public good. But like any other business, to reach their mission, NGOs also need one thing – funds. This is where Venture for Fundraising comes in. 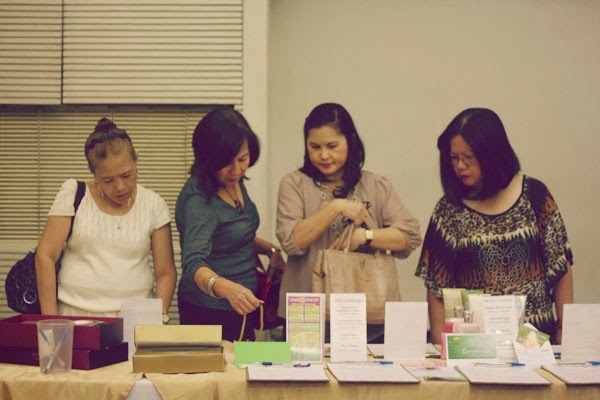 Tapulanga Foundation brought Venture for Fundraising’s most popular training courses to Sugarland Hotel, Bacolod City last September 5-6, 2013. The Manila-based non-profit organization has been operating since 1999 and has conducted courses in over 25 countries. Their Basic Course on Fundraising session features Pinky Medina, the executive director, and Lea Las Pinas, senior program manager for training. More than fifteen delegates from various local organizations and groups came to the two-day, lesson-packed session. When you have a genuine desire to achieve your mission, it will show. 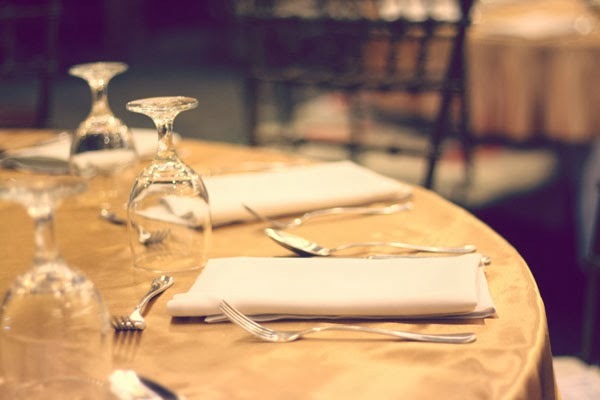 Two-faced organizations do not attract donors or employees/volunteers. People would want to help those who are truly committed to their service. 2. You win some, you lose some. 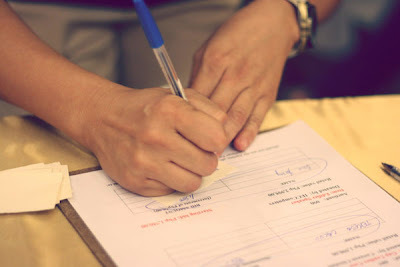 You gain more donors as your organization grows and your fundraising skill develops. You’re also bound to say goodbye to some, for a variety of reasons. It’s normal, so don’t fret too much about it – unless you lose more than you gain. 3. Fundraising is, basically, friend raising, says Pinky Medina. Fund raising comes right after. Pay more attention to your donors than to the amount of donations. Fundraising goes beyond money and contacts – it’s the relationship with the donors themselves that really matters. The talk also featured brief presentations from Robin Abello, founder of Akubo Software; Jay Abello, a film director known for the documentary Pureza: The Story of Negros Sugar and founder of the production house Seventh Films; and Bash Adriatico, who runs Copy Paste Prints Express. The course was sponsored by Akubo Software Philippines, Sugarland Hotel, and Copy Paste Prints Express. Born 26 years ago, Romnick Sadio and his family lives just a tricycle ride away from the St. Francis of Assisi School of Silay City. His older siblings never finished school, and neither did he. After two years in high school, he had to stop, due to financial problems. Romnick Sadio was fifteen when he joined his father at the ponds, where thirty other people also worked. He worked there in the afternoons, wondering if this would end up as his career after three, six, maybe even ten years. He thought about his nonexistent diploma, and the other half of high school that he missed. Life at the fish pond was tough. Yet this place, he later realizes, led to an opportunity. Romnick knew of SFAS. A few kids, scholars of Tapulanga Foundation, from his neighborhood studied there. He knew of the Ledesma family — he should, because they owned the land where he worked. They also happened to own the school. This thread of connection found him being called to the school one day. It had been almost four years since Romnick left high school. He admits he hesitated for a moment. To finish high school now meant he would be an eighteen-year-old among a class of fourteen-, fifteen-year-olds. 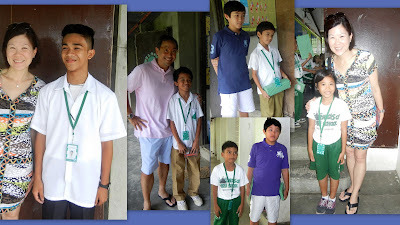 To just his classmates he would be "Manong" Romnick, he thought, and it bothered him. But one does not find himself given an opportunity every day. Romnick knew very well the hardships of someone who belonged to a family that had never seen any of its children on stage, with a diploma in one hand and the principal shaking the other. 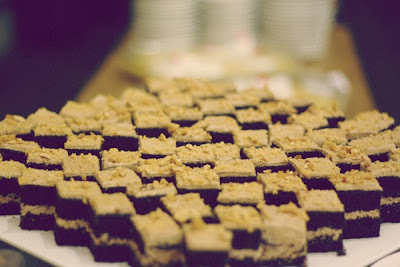 Next to this, being Manong Romnick in class was nothing. So, at eighteen, he took the exam, received a scholarship, and became a student once more. Romnick Sadio earned a college grant in 2009. He never met her in person, he says of his sponsor. All he knew was that she was called Mrs. Ada Ledesma-Mabilangan, and that her support fueled his way into college. He’s blessed, he says, very blessed to have been given a chance to study again. Romnick feels as if everything was a dream – the last two years in high school, his student council presidency, the youth congresses and seminars he was sent to, his college diploma, his bachelor’s degree. It has been six months since he earned a degree to his name, three months since his first day at St. Francis of Assisi School. 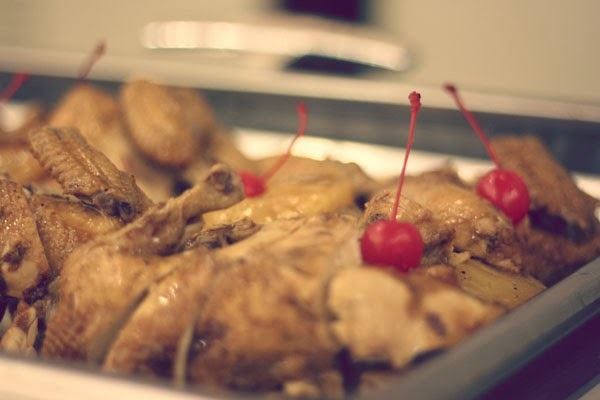 He had started to teach cooking, drafting, even arts, to the high school students. The man who stands before the students is no longer Manong Romnick, an upperclassman, their old school president. He is Sir Romnick, the teacher. 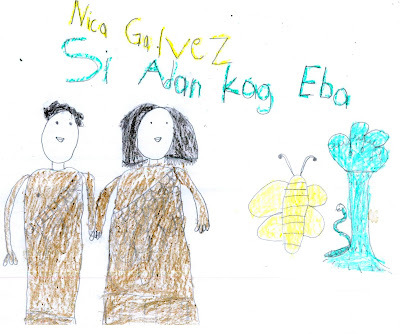 Nica Galvez, barely five years old, sits in a class of thirteen students. It is another day at preschool. On her desk is a piece of paper. On the chalkboard the teacher writes a title and, like everybody else, Nica copies down the title on her paper. Draw anything that you learned from the story I showed you yesterday, her teacher tells the class. Draw what you learned, draw what you remember. Nica clearly remembers the story. It is one of the first stories anyone has heard of in their childhood: the story of creation. Her teacher tells them the story, bit by bit, every day – a tale of light and darkness, of flowers and butterflies and the mountains and the sea, of Adam and Eve. 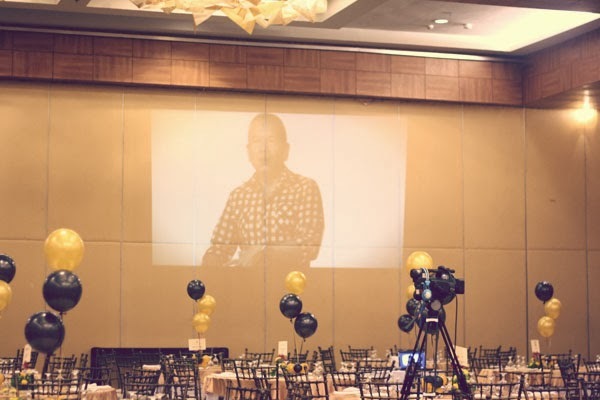 On days when the projector is available, they get to watch video clips about the story. They listened well to their teacher before, so they know exactly what’s going to happen: there will be light. Flowers will bloom, trees will grow. Adam is about to appear. As the twenty-minute video played, Nica gushes softly with her classmates. Nica Galvez is often quiet in class. She’s shy, but with friends she speaks more. She’s not very different from other girls. She does, however, have a higher blinking rate than her fellow preschoolers in the room. But besides this, there’s nothing about Nica Galvez that betrays any hint of the catastrophe that could have permanently changed her life, and how she literally saw the world, two years ago. This catastrophe involved the faint glint of a pair of scissors, a searing pain in her right eye, a cloudy vision, and the doctor’s advice that Nica needed eye surgery. All because of a squabble between Nica and her brother, one day in October 2011. Four months later, Nica braved the operation. Soon, she finally, anxiously took the white bandage off her right eye. Once again, the world was clear and unspoiled, in her eyes, just as it had always been. There are still moments when she gets cross-eyed. Close your eyes, her teacher would tell her, and when she opens them again, everything returns to normal. Her right eye doesn’t hurt anymore, she says. Both her eyes are fine, her vision flawless. She blinks more than her friends do, that is all. And yet there’s nothing else about this young girl that betrays any hint of that two-year-old catastrophe. It seems it would have to take more than a silly little incident like a sibling fight and a pair of scissors to change how Nica literally saw the world. But the memory of her eye injury, or of the operation, is the least of her thoughts right now. 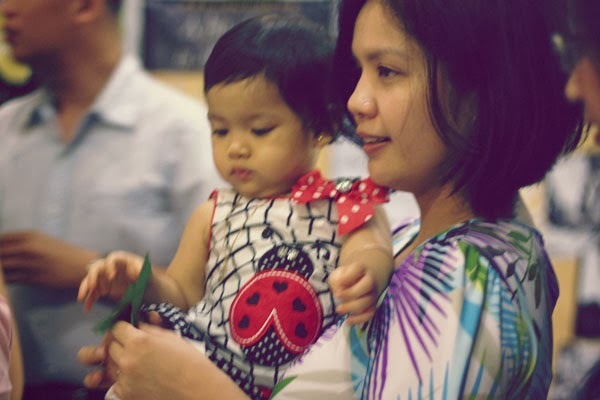 At the moment, Nica Galvez clearly remembers the story her teacher had showed them yesterday. She remembers light and darkness, the mountains and the sea. She thinks of butterflies, and of Adam and Eve. Little Nica picks up her crayon, and she starts to draw. My name is Andro and my friend in St. Francis is Ian. Ian is in Grade 3. I met him this year. It makes me happy that I am able to care for Ian. 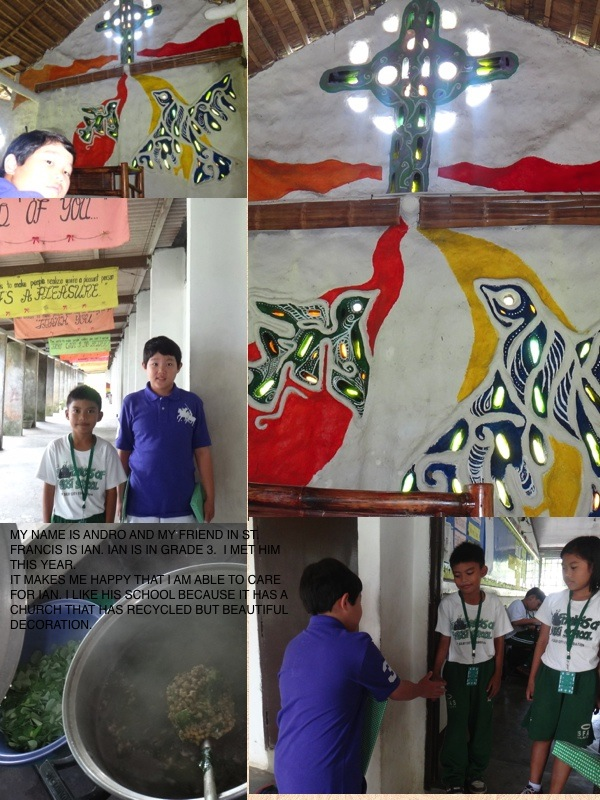 I like his school because it has a beautiful church that has recycled but beautiful decoration. Andro Barrientos, who is 8 years old, sponsors the books of Tapulanga Foundation scholar, Ian Oquindo. I met my friend Reign this year. I was a bit shy. But when we were playing the game I got him, we started to bond and we liked it. I realized he was nice. I feel good that I am able to help him in school. I hope I can continue to help him because I know he will also be able to help his family when he grows up. In our pictures that was taken on our 2nd day of visit, we enjoyed playing Jenga in the library. 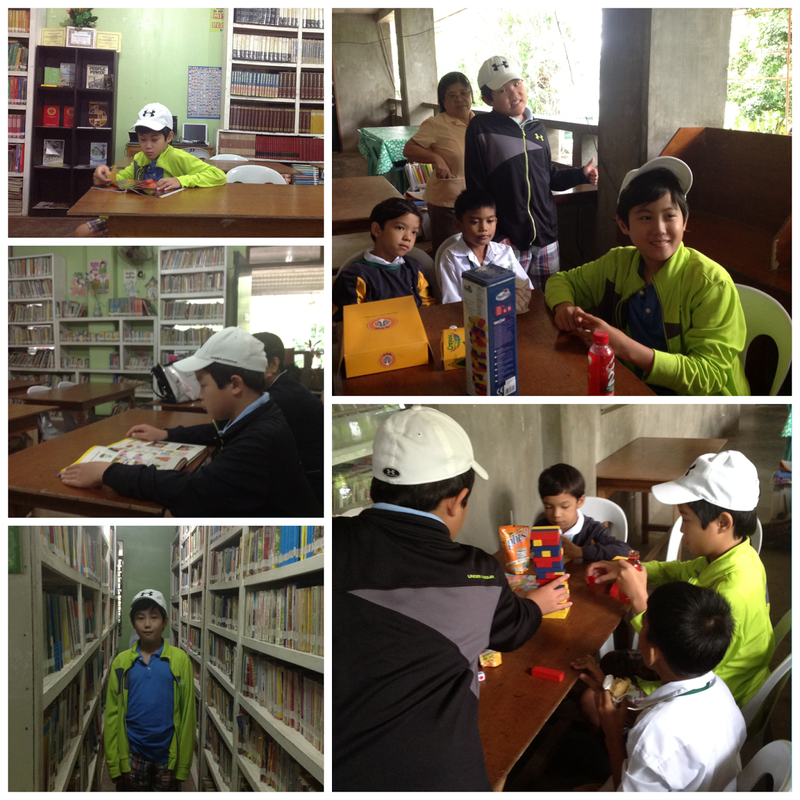 The library may be small but it had lots of books and my brother Andro also enjoyed reading. We think people should come visit St. Francis of Assisi School because it is very nice and the people, like the principal and Tita Mic, is also very nice. Diego Barrientos, who is 11 years old, sponsors the lunch meal of TF scholar, Reign de la Cruz, who is in 4th grade. 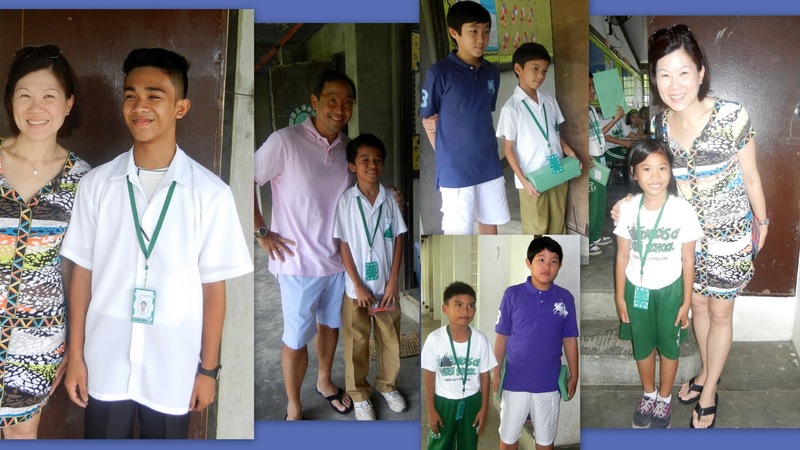 The Barrientos family: Felix, Reggie, Diego and Andro, visited the school last July 22, 2013 and met their scholars for the first time! It was truly another blessing that they shared their time (and gifts) with the children as well! Last July 12, 2013, under the sweltering heat of the sun, the High School students of St. Francis of Assisi School (SFAS) of Silay City were on hand for the blessing and official opening of the TITANS COURT—a new basketball/volleyball court at SFAS. 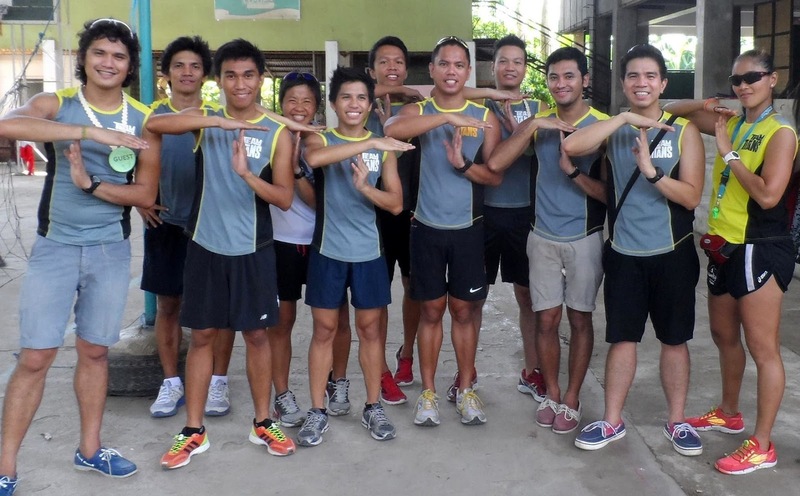 Located beside the High School building, Titans Court was named after its donors, Team Titans, a group of running enthusiasts from Manila, who raised the money for the construction of a concrete basketball/volleyball court. 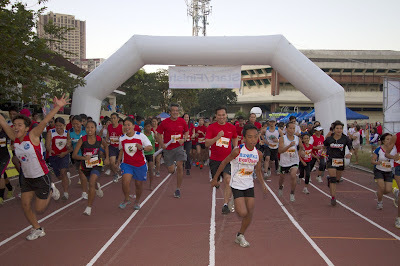 Led by Michelle Estuar, Team Titans organized ULTRAlympics 2012, the 2nd Michelle Estuar FUNd Racing event last November 30, 2012 at the PhilSports Arena in Pasig City, Metro Manila. 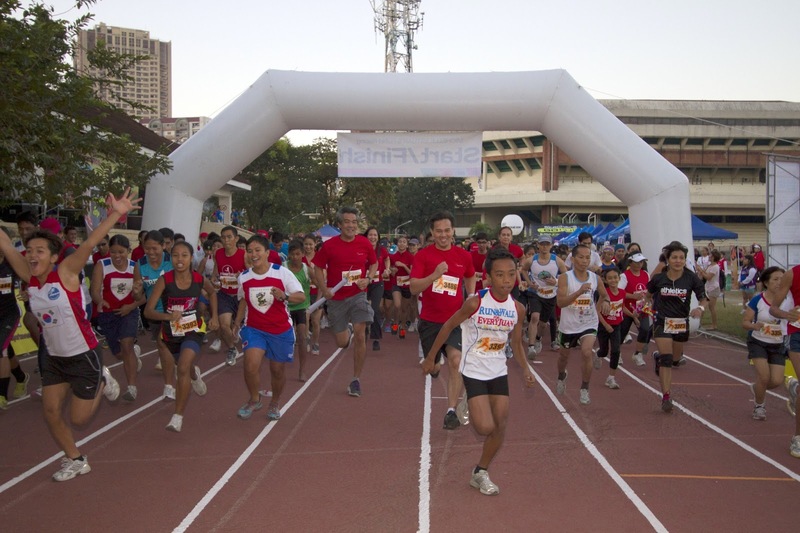 The fundraising event featured a series of running-related events: an 8-km run, a 16-km run, a 400-m dash for kids and a Titan Circuit Team Challenge. 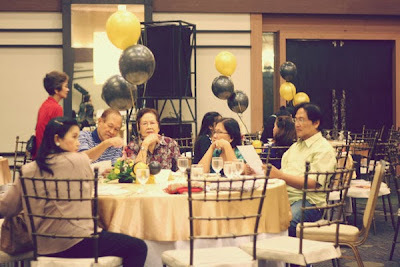 The event was able to raise over Php280,000.00 for the Tapulanga Foundation for the Titans Court. 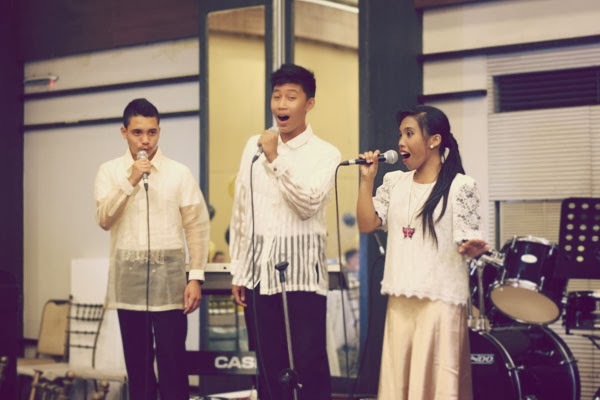 Earlier this year, last May 18, Convergy’s One Comcast-Voice and Chat organized a fundraising event at the Convergy’s parking lot in Bacolod City. 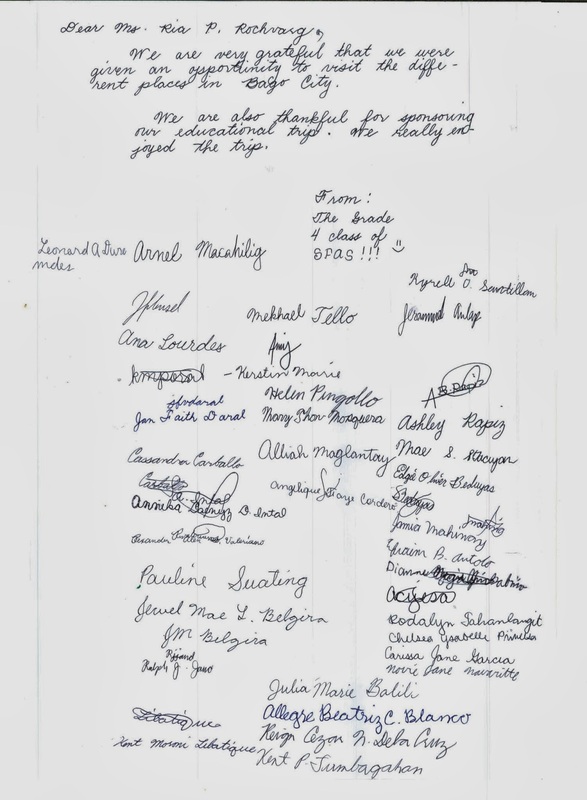 Having food booths, games, singing contests, auction, etc., the group was able to raise Php40,000.00 for the Tapulanga Foundation for the construction of two basketball goals to go with the Titans Court. The Blessing and Opening Ceremony started with the blessing of the court by Father Jonathan Borromeo. It was followed by a ceremonial run around the court by Michelle Estuar and SFAS’ very own football aficionado, Jan Michael Artillo. SFAS Sports Coordinator, Sir JR Abello, delivered a welcome speech then the Vice President of the Tapulanga Foundation, Dr. Joan Millonado, who flew in from Manila, introduced the special guests of the ceremony—Team Titans themselves. Michelle Estuar spoke on behalf of Team Titans. A highlight of her speech was when she shared the meaning of the name, Titan, which was actually an acronym for Tough, Intelligent, Talented, Athletic and Never giving up. She encouraged the High School students of SFAS to live up to these characteristic values of a Titan. And rightly so, as earlier in his speech, Sir JR Abello officially unveiled the new name of the sports teams of SFAS—the St. Francis Titans. Convergy’s One Comcast-Voice and Chat also graced the event. Operations Manager Mr. Jai Baldemor spoke on behalf of the group. Then Team Leader Mr. Joseph Somoza of Convergy’s One Comcast-Voice and Chat and SFAS’ Student Council President and basketball star Kyle Barnuevo traded baskets in a ceremonial shooting of hoops. As the Blessing and Opening Ceremony ended, it was then time to test the Titan spirit of the St. Francis Titans. Michelle Estuar and the Team Titans conducted a running clinic at the SFAS Covered Court. 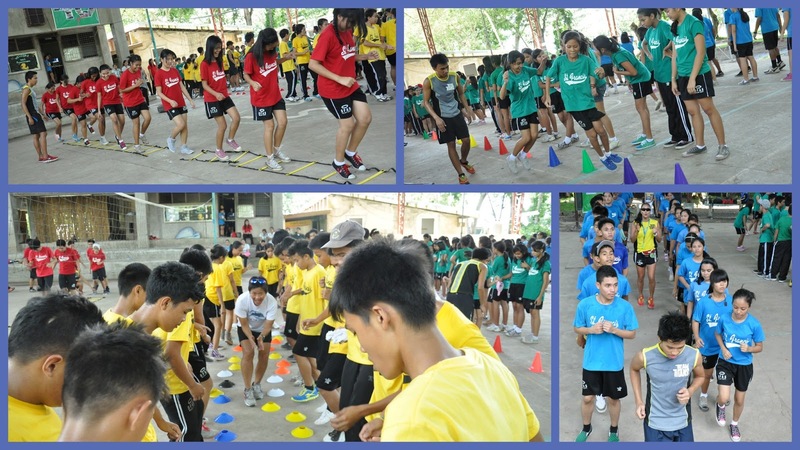 All 180 High School students participated in a series of running exercises and drills as different Team Titan members were situated in different stations set up around the court. The running clinic ended with a team relay game between the High School batches. In the end, the Seniors won in a Championship showdown with the Sophomores. A new court, a new name; it was truly a historical day for SFAS Sports! And to God be the glory! 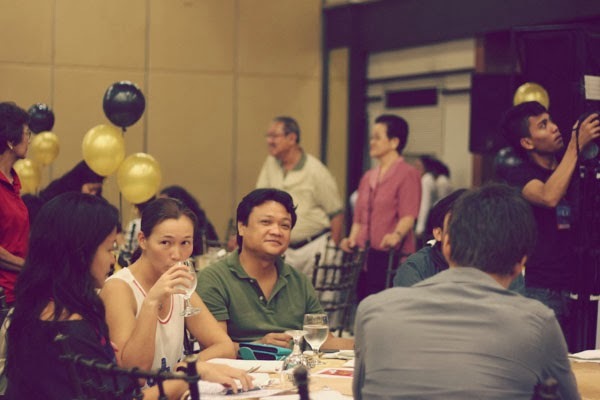 A Tapulanga Foundation scholar for 12 years, Christine Diaz shares her typical day. 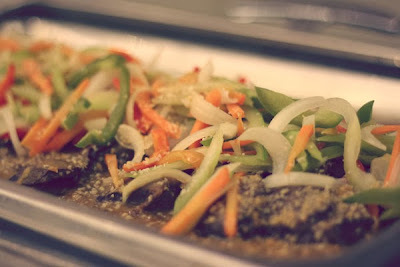 At 5:30 A.M., her alarm clock goes off, she gets out of bed and takes a quick shower, eats her breakfast which is usually "adobo" (marinated meat) with rice and leaves the house after an hour for school. At 6:45 AM, Christine, who is a Sgt. at Arms officer, is already at the gate along with other Student Affair Council (SAC) officers to help the school guard ensure that every student who comes in wears an ID. Her favorite subject is Economics because she learns how to deal with alternative choices on certain things. She goes home by 5:00 P.M., takes a little rest, helps in the household chores like cleaning the house, washing dishes and cooking rice and does some school work and if she has still time before going to bed, she would grab her favorite book, usually Greek mythology, till she dozes off. "I realize that I am fortunate to be a scholar. Many people would love to be where I am. especially now with the DLP which is easy to cope with because I'm used to self study." shares Christine Diaz, who is in her final year in high school in SFAS already.